Whether you or your family member is just starting to swim or has been competing for years, California Family Fitness offers swim lessons that fit their needs. Lessons are taught by WSI (Water Safety Instructor)-certified teachers who conduct classes in private and group settings. Each swim session consists of eight 25-minute lessons geared toward participants' proficiency. If you want to improve your stroke, technique, and efficiency, we can help you. 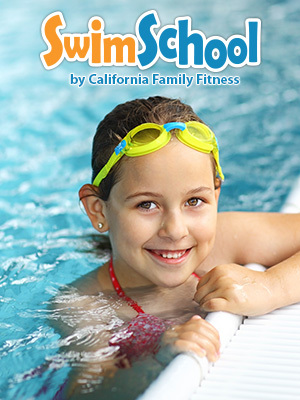 Swim lessons are held at the following locations: Carmichael, Citrus Heights, Elk Grove, Folsom, Laguna, Midtown, Natomas, Orangevale, Rocklin and Rancho Cordova.